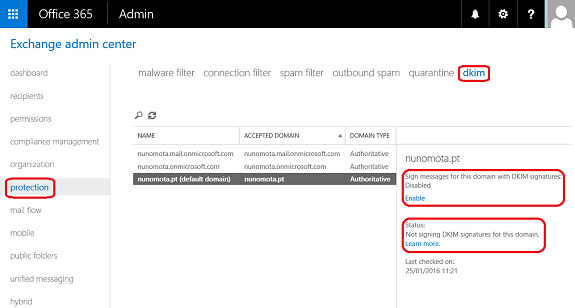 If you would like to read the first part in this article series please go to Outbound DKIM Signing in Office 365 (Part 1). And that is all we need to do to enable DKIM! Now it is time to test it. Now the selector and d= domain have changed and are aligned with the From: address. 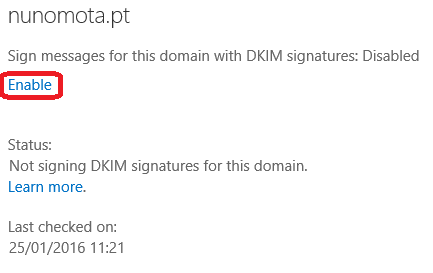 Remember that if you have another mail server positioned after Office 365 that relays out to the Internet, it may modify the message content and cause the DKIM signature not to verify. 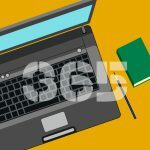 If this occurs, you should ensure that Office 365 is the last service to relay out to the Internet, otherwise you may get some email bounces due to a broken DKIM signature. 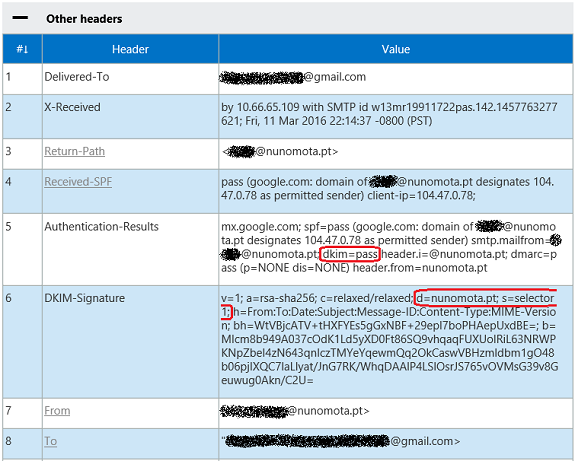 In this case, the selector and d= domain contain the values where the CNAME would point to if DKIM-signing was still enabled for nunomota.pt. Basically, if we enable DKIM ourselves, the d= domain will align with the domain in the From: address, If not, it will not align and instead will have our organization’s initial domain. In order to enable DKIM, we had to configure two DKIM Selectors “entities” and I mentioned that this was for key rotation. A matching signature means a successful validation. As with all passwords, the longer they go unchanged, the higher the risk of them being compromised. The same applies to DKIM keys. It is a best practice to rotate DKIM Keys every few months. This is typically done by creating a new selector/private key/public key set. Once the keys have been created, the public key is published in the public DNS record, and the outgoing mail server re-configured to use the new private key (the old key should be kept for a at least a week, after which it can be safely removed). Suppose we rotate our DKIM keys at 10:00. A couple of minutes before, a user sent an email which was still signed with the old key. When that email arrives at the recipient’s email system at 10:05, it can no longer be validated. 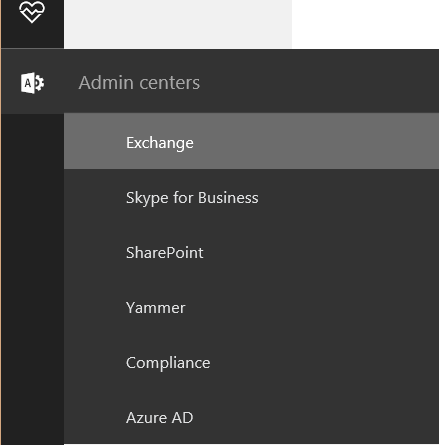 Well, these problems do not exist with Office 365 🙂 The main reason why we created two CNAME records is, as already mentioned, for seamless key rotation. Because we are using CNAME records, EOP can rotate the keys whenever it needs to. 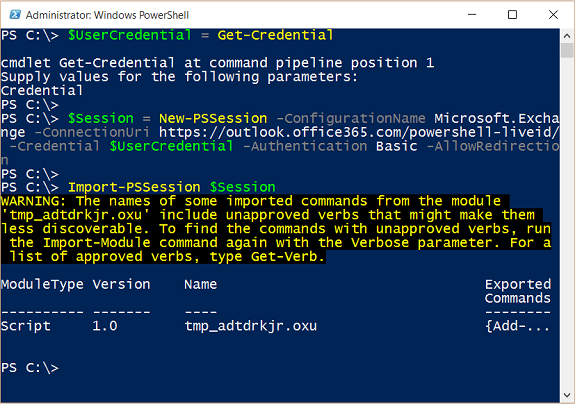 As EOP controls the public and private keys, when it needs to rotate the keys it simply updates the private key on the backend and the public key in Microsoft’s DNS servers. The CNAME in our (customer’s) DNS record still points to Microsoft, but what it points to is a new key. We, as a customer, do not have to do anything! The next time EOP updates the keys a few months later, it repeats the same process: it flips back to key #1 (which contains a rotated key) and then updates key #2 a week later. Using this approach, Microsoft enables its customers to automatically rotate their DKIM keys without them having to do anything. These changes happen automatically behind the scenes as EOP alternates between changing the DKIM signing selector (selector1 vs selector2) which correspond to CNAME 1 and CNAME 2. Because our domain has these two CNAME records pre-populated, we do not need to be aware of which selector or key is active because EOP is in control. In this article series we had a brief look at what DKIM is, how it works in Office 365, how we can enable outbound DKIM-signing for our domain and ended discussing DKIM Key Rotation.